Red alert: the NHL trade deadline is two days away! Take a look at this week’s games that likely shaped every GM’s “buyer or seller” debate. As usual, there was more than a few exciting games this week that were certainly worthy of our attention. The Blackhawks and Red Wings squared off in the Motor City Wednesday night, while three rivalries were contested yesterday (the Battle of the Hudson River, Montréal at Toronto and the Battle of Pennsylvania, played outdoors at Lincoln Financial Field in Philly). Of course, there’s one more derby going down this afternoon when the Rangers and Capitals square off at Capital One Arena. As for playoff rematches, there were three on this week’s schedule. Winnipeg visited Vegas Friday night and replicated their 2018 Western Finals success against the Golden Knights, while both Colorado and Philadelphia exacted revenge against the teams that eliminated them in the First Round almost a year ago. Finally, in the “homecoming” section, there was none bigger than F Matt Duchene‘s return to Ottawa in which he never departed Ottawa. Just like last season when he was shipped to Ontario from the Avs, Duchene’s first game with his new club, the Columbus Blue Jackets, was against his former employer and teammates. For what it’s worth, Columbus easily dispatched the Sens with a three-goal shutout. But instead of focusing on any of those tilts, we’re instead going to shift our attention to the desert where yet another legendary player is seeing his name receive one of, if not the highest honor any sporting organization can bestow when a particular No. 19 gets raised to the Gila River Arena rafters. WShane Doan‘s career is one of devotion and loyalty that is hard to fathom in the current North American sporting environment. before hanging up his skates after the 2016-17 season. There was no reason to question Doan’s loyalty in the beginning of his career, as he earned his first playoff experience in his rookie season – his only year in Winnipeg. The Jets won only two games before being eliminated by Detroit. That was just about the only highlight of Doan’s rookie campaign. With 7-10-17 totals in 74 regular season games played, he didn’t even earn a single vote for the Calder Trophy. However, it did start a run of five-straight playoff appearances and six postseason berths in his first seven campaigns. Despite the Coyotes maintaining that success and consistently finishing fourth or better in their division, Doan’s breakout season did not occur until his 1999-00 campaign that saw him register then career-highs in goals, assists and points when he posted 26-25-51 totals. That success sparked a run of nine-consecutive seasons over 10-years’ time (that darned 2004-05 lockout strikes again) in which Doan scored at least 20 goals each campaign, as well as a streak of 12-straight seasons scoring at least 50 points. Doan assumed captaincy of the Coyotes in 2003 (he ended up being the NHL’s longest-serving captain until his retirement), which surely played a large role in his loyalty to to the organization. That love put itself on full display on Valentine’s Day, 2007 when the pending UFA signed a five-year, $22.75 million extension to remain in Phoenix instead of risk being traded away at the impending deadline. Doan signed the extension despite the Desert Dogs missing the last three Stanley Cup Playoffs, and he would not return to the postseason until 2010. However, Doan did not let that lack of team success hold him back, as his greatest individual campaign occurred the season after signing his new contract. During the 2007-08 campaign, the captain posted 31-42-73 marks (career-highs in assists and points) despite playing for a club that finished fourth-to-last in the Western Conference. Doan posted another 70-point season in 2008-09 (including a career-high 31 goals), but he didn’t get any national recognition until the 2009-10 campaign when he won his only league award: the King Clancy Memorial Trophy, awarded for the player that best exemplifies leadership. Doan certainly deserved the award, as it was around this time that the now annual rumors about the Coyotes’ relocation started to begin due to the team declaring bankruptcy and being taken over by the league. Despite all of that, Doan captained his team to a franchise-best 107 points in the standings, finishing second in the Pacific Division to San Jose’s 113. The Coyotes fought valiantly, but fell in Game 7 of the Western Quarterfinals to the Red Wings. Phoenix qualified for the postseason for the next two seasons, but it is their run through the 2012 Stanley Cup Playoffs that is most memorable. Behind Doan’s 5-4-9 marks, the Yotes soared all the way to the Western Conference Finals, knocking off perennial favorites Chicago and the surging Predators. What made this postseason even more significant is that Doan was once again entering free agency that summer. The captain would have been well within his rights to seek a team that was on more solid financial footing than the Coyotes, but he once again elected to remain with the organization that drafted him and signed a four-year, $21.2 million contract. It was a decision that signaled the end of Doan’s playoff career. The Coyotes have not qualified for the postseason since 2012 (despite falling only two points short in 2013-14), but have a chance to change that fate this season in the lackluster Western Conference. Doan signed his final contract – a one-year, $4.8 million deal with a no-movement clause – with the Coyotes on July 12, 2016. He finished his career with 402-570-972 totals in 1540 regular season games played, plus his 15-13-28 marks in 55 playoff appearances. Doan leads the Jets/Coyotes franchise in career points, goals, assists, games played, game-winners (69), power play goals (125) and shots on goal (3801), making him one of the best to ever wear the Coyotes or original Jets sweater. Once the No. 19 has found its rightful place above the ice, there will still be a Coyotes game to be played against the current Jets franchise. Arizona enters tonight’s tilt with a 28-28-5 record that is good enough for 10th place in the Western Conference, trailing Colorado by four points for the second wild card. Arizona has been playing well of late, posting a 5-2-0 record in its past seven games (including wins against the Stars, Golden Knights and Maple Leafs) due in large part to the outstanding play by 16-14-5 G Darcy Kuemper. When 5-6-0 G Antti Raanta went down with a season-ending lower body injury in late November, it was expected that the Coyotes would immediately begin their drop to the bottom of the Western Conference. However, Kuemper has done fairly well after being thrust into the starting role, as his .915 season save percentage and 2.63 GAA are both top-eight in the league among goalies with at least 30 starts. However, Kuemper has been even better of late, as he’s managed a dominant .938 save percentage and 1.96 GAA in his past six starts to take credit for all of the Coyotes’ past five wins. Speaking of wins, Kuemper has a perfect 3-0-0 record against the Jets for his career, though this will be his first game going against Winnipeg as a member of the Coyotes. During his terms with the Kings and Wild, he’s taken on Winnipeg five times and owns a career .876 save percentage and 4.15 GAA against the franchise. He’ll obviously need to show improvement on those statistics if he wants to maintain his unblemished record against the Jets, but he’s been playing so well lately that I don’t think that’ll be a problem. Paying a visit to the desert this evening are the 37-20-4 Winnipeg Jets, the West’s third-best team and the Central Division’s top dog. Winnipeg got off the schneid in its last outing by beating the Golden Knights 6-3 on Friday, ending a three-game losing streak that saw the Jets earn only one point in the standings (an overtime loss against the lowly Senators). The biggest reason for this momentary slide is easily the Jets’ lousy effort on the defensive end. On the season, Winnipeg allows 33.6 shots against per game. Admittedly, that’s the fifth-worst mark in the NHL on the year, but that number has climbed to 38.5 shots against in the Jets’ last four outings – the worst in the NHL since Valentine’s Day. There are rumblings that both D Dustin Byfuglien (lower-body injury) and D Joseph Morrow (lower-body injury) could be ready to resume action in early March, but until then players like D Ben Chiarot (4.3 hits per game since February 14), F Adam Lowry (four blocks per game in his last four outings) and D Jacob Trouba (team-leading three takeaways in his last four games) will need to continue to lead by example to try and save this defense. Other than Head Coach Paul Maurice, no one would be more appreciative of some improved defense than 27-17-2 G Connor Hellebuyck, who’s seen his season stats fall to a .909 save percentage and 2.98 GAA during this four-game run. Considering the quantity of shots faced, it’s hard to blame him for the .876 save percentage and 4.7 GAA he’s managed over his last three starts, but the fact that he was runner-up for the Vezina last season implies that he should be at least a little better than this. The winner of this game is tough to pick, because neither side has shown consistent offense during their respective runs. That being said, the Jets’ outstanding six goals scored against Vegas shows some pent up frustration that might carry over into tonight’s tilt. Kuemper will surely perform valiantly, but he’s going to need help from his attack if he’s to earn his fourth win against the Jets tonight. I’ll take the Jets to win 3-1. For those that didn’t keep count, that’s a healthy 55 tilts to keep us entertained while family members you simply adore ask a multitude of questions you’d rather they not. In the rivalries department, the NHL loaded us up with six showdowns this week, including Boston at Montréal, Pittsburgh at Washington, Los Angeles at San Jose, the Rangers at Toronto, Philadelphia at the Rangers and Detroit at Toronto. Two rematches from this spring’s edition of the Stanley Cup Playoffs will also take place: the previously mentioned Pens-Caps game and Los Angeles’ trip to Sin City Sunday night. Finally, the biggest player return of the week will take place tonight when F Max Domi makes his first trip back to Glendale to take on the Coyotes, the club that drafted him 12th overall in the 2013 NHL Entry Draft. However, of all those games highlighted, there’s still another tonight that will have my full attention. Both the Jets and Sharks entered this season with high expectations, but only one has truly flexed its muscles thus far this season. Perhaps that will be just the motivation San Jose needs to find its next gear. Currently in a three-way tie for first place in the Western Conference, the 22-10-2 Winnipeg Jets are technically the top team by playing one fewer game than both the Calgary Flames and Nashville Predators. Winnipeg’s last outing wasn’t exactly one to be proud of (the Jets fell 4-1 in Los Angeles to the lowly Kings on Tuesday), but it had been riding a five-game winning streak coming into that game. In fact, in their past 11 games, the Jets boast a 9-2-0 record that includes five overtime or shootout victories. To the surprise of none, Winnipeg’s greatest strength is undoubtedly its offense. Having averaged 3.56 goals per game for the entire season (the fourth-best mark in the NHL), Head Coach Peter DeBoer will certainly have a plan for how he wants his team to slow down the impressive talents of C Mark Scheifele (21-25-46 points) and RW Blake Wheeler (5-39-44) on Winnipeg’s top line. However, that will be a difficult task to pull off because the Jets’ attack has been even more potent than usual during this 11-game run. Since November 29, the Jets have averaged an outstanding four goals per game, which is tied with, coincidentally, San Jose for third best in the league in that time. The previously mentioned Scheifele and Wheeler have certainly had their fingerprints all over that dynamic attack, as they’ve posted respective 8-12-20 and 1-14-15 totals in their last 11 outings. However, they’ve also been joined by LW Nikolaj Ehlers (7-5-12), D Josh Morrissey (3-8-11 in nine games) and D Dustin Byfuglien (1-8-9 in seven games) in averaging at least a point per game during this run, creating a defensive nightmare for most teams not as talented as the Sharks on the blue line. The San Jose Sharks were supposed to already be atop the Western Conference – if not the entire NHL – according to many preseason reports, yet they find themselves stuck with a 19-11-5 record good enough for only second place in the Pacific Division. But don’t read that as the Sharks being a bad team. They’re riding a five-game winning streak and have posted a 7-1-0 record in their past eight outings, so it seems like the team is finally starting to realize its potential. The next question, of course, is just how good can this team be, but that’s an answer the Jets would rather not answer tonight. During this eight-game run, San Jose has been clicking on all cylinders; literally everything is gelling, and the numbers are showing just that. Perhaps my favorite part of the Sharks’ game right now is their attack. Currently in a tie with Ottawa for eighth-best offense on the season by averaging 3.31 goals per game, the Sharks’ effort since December 2 has made all but Tampa Bay jealous. Led by F Logan Couture‘s impressive 5-6-11 totals in the last eight games, San Jose has managed a dominant 4.25 goals per game during this run. Joining Couture in averaging at least a point per game since the beginning of the month are RW Timo Meier (5-5-10 in seven games played), F Tomas Hertl (4-5-9) and D Erik Karlsson (0-8-8). That’s right, the same Karlsson that looked like he wasn’t panning out in Silicon Valley is on a bit of a hot streak of late. His goal scoring may be down from his Ottawa days (last season’s nine goals in 71 appearances was a poor season for him, and this year’s pace has him set to register only five markers), but the 10-year NHL veteran is still making his presence known on the scorecard. In addition to scoring, this dynamic offense has also had some incredible influence on the defensive zone by maintaining elongated possessions. During this eight-game run, San Jose has allowed only 27.88 shots against per game, the fifth-best mark in the NHL since December 2 and only two shots worse than the Islanders’ league-leading pace set in that same time span. Of course, D Justin Braun (2.3 blocks per game since December 2), D Brenden Dillon (2.8 hits per game during this run) and Karlsson (11 takeaways in his past eight outings) have certainly done their fair share on the defensive end as well. If anyone is appreciative of that effort, it’s surely 14-7-3 G Martin Jones, tonight’s starter. Though he’s struggled for much of the season (made evident by his unusually low .901 save percentage and 2.81 GAA for the campaign), he’s shown signs of improvement lately. He’s earned five of the Sharks’ last seven wins, posting a much more familiar .936 save percentage and 1.94 GAA in his last seven starts. If Jones has finally rounded into form for the year, this Sharks blue line will truly begin to influence play in the offensive zone, which should be a very scary proposition for the entire Western Conference. When two high powered offenses are going at it, I usually side with the better of the two goaltenders to determine the game’s winner. In his past eight starts, 15-9-1 G Connor Hellebuyck has earned six wins on the back of a .91 save percentage and 2.72 GAA (both nominal improvements on his .908 season save percentage and associated 2.9 GAA). Compare that to Jones’ numbers, and the answer is obvious: the Sharks should come away winners tonight and send the home fans happy. Week 3 of the DtFR Game of the Week series is due today, so let’s take a look at our options! As usual, there’s more than a few compelling matchups this week. Just like every week, there’s the rivalries (Philadelphia at Boston, New York at Chicago, Montréal at Boston, Chicago at St. Louis and San Jose at Anaheim) and the player returns (F Matt Duchene‘s first trip back to Denver steals most of the headlines in this department, even though F Valtteri Filppula and G Louis Domingue are headed back to Philly and Arizona, respectively, on Saturday), but this week is different in a way that we could have only dreamed of during the 2016 NHL Entry Draft. W Patrik Laine hosting C Auston Matthews was already must-see T.V. based on their individual talents alone, but now that both of their clubs are looking to the top of the league standings, this just might qualify as a Stanley Cup preview. Toronto has exploded out to a 6-3-0 record in its first nine games and was pacing the Eastern Conference until Montréal’s victory over the Flames last night (the top three teams in the Atlantic are tied with 12 points, but the Habs own the games-played tiebreaker over Toronto while the Leafs best Boston in regulation+overtime wins). The main reason for this early season dominance? You guessed it: Toronto’s dominant offense. The Maple Leafs are averaging 3.78 goals per game so far this season, which trails only Washington and Tampa Bay for tops in the league, in addition to boasting the second-best power play with a 37.5 percent conversion rate. 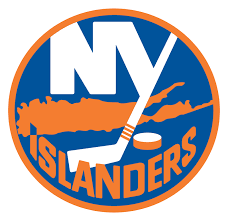 Even though the big story during free agency in July was Toronto signing C John Tavares (who himself has posted imposing 6-5-11 totals so far this season), this team still belongs to the No. 1 overall pick in 2016: Matthews. Playing on the second line, Matthews has potted a whopping 10 goals already this season, not to mention his six assists. Fans of the podcast know I predicted Matthews to win the Rocket Richard Trophy this season, due in large part to the opposition Matthews is going to be playing against as a member of the Leafs’ second line instead of on its top unit. Especially at the center position, it is usually a given team’s best offering getting the start on the first line, and that No. 1 center is usually one of the better players on the team and can exhibit a solid two-way game (after all, the Leafs are in the Atlantic Division with Boston’s C Patrice Bergeron… are any more examples necessary?). Matthews has already proven through the first two seasons of his career that he’s capable of making any other player in the league look silly (yes, even Bergeron!) with his scoring touch, but now that he’s going up against opposing second lines and second defensive pairs, it’s bound to be open season on opposing goaltenders all year. D Morgan Rielly (4-10-14 totals) and F Mitch Marner (4-8-12) also join Matthews and Tavares in scoring better than a point-per-game, so consider that your warning G Connor Hellebuyck. As for 6-2-1 Winnipeg – the third-best team in the Central Division and Western Conference as things stand right now – the 2016 NHL Entry Draft has treated it just as well as Toronto in regards to Laine. Though the Finn has managed only 3-2-5 totals so far this season, his 83-56-139 totals through 164 career games is nothing to scoff at. Laine’s offensive struggles thus far are not limited to just him, as the entire Jets roster (save C Mark Scheifele‘s 4-5-9 totals making him the only player averaging a point-per-game) has had trouble finding the back of the net. Averaging only 3.22 goals per game, Winnipeg’s offense is tied with Carolina for only 15th best in the NHL. So, if offense isn’t winning games for the Jets, it must be their goaltending or defense, right? Well, it’s definitely not the defense. Allowing an an uninspiring 34.22 shots against per game (eighth-worst in the NHL) is certainly not getting it done and is putting a lot of work on Hellebuyck’s shoulders. But hey, Hellebuyck finished second in Vezina voting last year, so he must be more than up to the challenge of keeping these Jets in the air, right? Once again, not so much. Even with a 4-2-1 record in his first seven starts, he only boasts a .909 save percentage and 2.83 GAA (t17th and 21st, respectively, among the 35 goaltenders with at least four starts). Instead, the most inspiring goaltender in Manitoba has been backup 2-0-0 G Laurent Brossoit and his .955 save percentage and 2.01 GAA. So, how exactly are the Jets in third place in the ultra-competitive Central Division? The answer can be found in both of Winnipeg’s special teams, with the power play doing some serious heavy lifting with a 32 percent conversion rate that is fourth-best in the NHL. While Laine has struggled to find the back of the net at even-strength, he has absolutely dominated the power play. Of his 3-2-5 totals so far this season, he’s earned 3-1-4 of those marks while playing with the extra man. In fact, much of the top power play unit has been solid, as Scheifele and RW Blake Wheeler have both registered four power play points in nine games played. But the Jets’ special teams dominance doesn’t end with the power play. Winnipeg’s penalty kill has also been excellent, as its 82.3 percent kill rate is tied with Minnesota for ninth-best in the league. W Brandon Tanev in particular has been very solid while one of his teammates has been in the penalty box (his four shorthanded hits and three shorthanded blocks both pace the club), and his dominant play has made life much easier on Hellebuyck. Though an .895 save percentage against the man-advantage doesn’t exactly sound impressive, Hellebuyck ranks (t)eighth-best in the statistic among the 35 goalies with at least four starts. Talk about flipping a switch. The next step, of course, is finding success on both ends of the ice at even strength. It is often these big games that brings that best play out of a team with as much potential as the Jets, so I’ll be very interested to see if Winnipeg can rise to the occasion against the Leafs. So, it’s time for the big question: who’s winning this game? First and foremost, it should probably be mentioned that Winnipeg boasted the best home-ice advantage in the entire NHL last season with a 32-7-2 record. Knowing that such a highly touted opponent is coming to town, there’s no way Bell MTS Place won’t be rocking tonight. However, I have my concerns about Hellebuyck being able to stop Matthews and Toronto’s attack, especially since the Leafs join Winnipeg in dominating special team-play (Toronto’s power play and penalty kill rank second and seventh in the league, respectively). As such, I see the Maple Leafs cruising to a 5-3 victory in Manitoba. The Campbell Bowl is the possession of the Vegas Golden Knights after they beat the Winnipeg Jets 2-1 at Bell MTS Place in Game 5 of the Western Conference Finals. Winnipeg did all it could to win this game and prolong its postseason: the Jets matched Vegas in shots on goal (32 apiece), earned four power plays to the Knights’ two and G Connor Hellebuyck saved 30-for-32 shots faced (.938 save percentage). However, G Marc-Andre Fleury was none too interested in starting a summer without the Stanley Cup for the first time since 2015. Fleury saved 31-of-32 shots faced (.969 save percentage). He refused to yield to even one of the Jets’ power plays, making miraculous save after miraculous save. Pair Fleury’s performance with First Star of the Game RW Alex Tuch‘s (F Ryan Carpenter) wrist shot only 5:11 into the game, and the Jets were facing an uphill battle that was made even more steep by the fact that Third Star D Josh Morrissey‘s giveaway was what directly led to the tally. Morrissey didn’t successfully corral Hellebuyck’s pass along the boards, leading to Carpenter knocking the puck off his stick to Tuch in the high slot, which he proceeded to squeeze between the netminder’s right arm and the post. The only flaw in Fleury’s game struck 12:03 later when Morrissey (F Bryan Little) made amends for his giveaway to score off a face-off. Won by Little at the dot to Fleury’s right, Morrissey ended up with the puck above the face-off circles and one-timed a white-hot slap shot over the goalie’s glove. The resulting 1-1 tie held for almost 20 minutes – 16:07, to be exact – before Second Star RW Ryan Reaves (D Luca Sbisa and F Tomas Nosek) potted what proved to be the series-clinching goal. Though this goal can’t be blamed on Hellebuyck, that’s not to say that Reaves was truly intending to score on this play. Sbisa fired an elevated initial wrister from the point that likely would have been either blocked by a Jet or saved by Hellebuyck, but Reaves intercepted that attempt and deflected it just under the bar over the goalie’s right shoulder. If Reaves were only a foot or two closer to the crease, his shot surely would have flown over the crossbar, but the trade acquisition was in the right place at the right time to secure his and his club’s first-ever Stanley Cup Finals appearance. In the third period, the Golden Knights clamped down on the talented Jets offense to limit them to only eight shots on goal. D Colin Miller converted one takeaway, while eight different Knights either blocked a Winnipeg third period shot or threw a body check. Winnipeg also was its own worst enemy by aiming five third period shots to the wrong side of the iron. In particular, RW Patrik Laine was responsible for sending two of those shots wide or over the net. The Golden Knights await the victor of the Eastern Conference Finals, which the Tampa Bay Lightning currently lead 3-2. Should the Bolts hold on to clinch the Prince of Wales Trophy, Vegas will travel to Florida for Games 1 and 2 of the Stanley Cup Finals. However, if the Washington Capitals can win two-straight games, they will travel to Vegas for the first games of the series. Game 6 of the Eastern Finals from Capital One Arena will take place Monday, May 21 at 8 p.m. Eastern. Fans interested in seeing who the Knights will square off against should tune their televisions to CBC, NBCSN, SN1 or TVAS. With a 3-1 Game 2 victory at Bell MTS Place, the Vegas Golden Knights have leveled their Western Conference Finals series with the Winnipeg Jets at one game apiece. As would be expected from the Winnipeg Whiteout crowd, all the energy was with the Jets at the opening puck drop. In fact, the fan-power almost resulted in a Jets goal only 33 seconds into the game when C Mark Scheifele‘s backhanded shot leaked through Second Star of the Game G Marc-Andre Fleury and laid exposed in the blue paint, but D Nate Schmidt was there to clean up the situation to keep the game from turning into a potential barn-burner early. Even though Winnipeg almost got that first laugh, it was the Golden Knights who eventually took command of the first frame. With 6:37 remaining in the period, F Tomas Tatar (D Shea Theodore and F Ryan Carpenter) drew Game 2’s first blood, scoring his first goal of the playoffs to give his side a lead a lead it would not yield. Tatar’s tally was an excellent example of commitment to a play, as his first shot bounced off G Connor Hellebuyck‘s left post and careened into the end boards. However, Tatar maintained control of the situation by reclaiming possession and returning to the original scene of the crime, this time beating Hellebuyck to the near post. 3:59 later, some incredible defense by the Golden Knights in the neutral zone yielded First Star F Jon Marchessault‘s (W Reilly Smith) first goal of the game. Marchessault was the fortuitous recipient of Smith’s work against Third Star LW Kyle Connor at the red line, eventually earning a breakaway opportunity against Hellebuyck that he buried five-hole. A scoreless second period was due in large part to some solid defense played by both sides. Both Vegas and Winnipeg fired only eight shots apiece in the middle frame. In terms of overall stats for the entire game, Winnipeg certainly made its presence known along the boards by throwing 19 hits to Vegas’ seven. Leading that effort was none other than F Adam Lowry, who threw a game-high four checks. Meanwhile, the Golden Knights made an excellent habit of getting in the way of the Jets’ shots, as they blocked a whopping 21 shots in Game 2. Though D Josh Morrissey led the game with five shot blocks, Smith paced Vegas in the statistic with his three rejections (not to mention his game-high three takeaways). We all know the expression “third time’s the charm,” and that was true yet again in regards to Winnipeg’s power play. After failing to convert a too many men on the ice penalty in the first period and D Brayden McNabb‘s tripping infraction against RW Blake Wheeler late in the second, the Jets finally got on the scoreboard at the 7:17 mark of the third period. Taking advantage of D Luca Sbisa tripping W Brandon Tanev 1:38 before, Connor (W Nikolaj Ehlers and D Tyler Myers) flung a prayer of a wrist shot at Fleury’s chest that managed to roll off his chest protector and into the goal, pulling Winnipeg back within a one-goal deficit. As would be expected, the Whiteout was fully rejuvenated after its club finally showed some offensive life, but the Winnipeg faithful reclaimed their seats only 1:28 later when Marchessault (Smith and C William Karlsson) buried a backhander to set the 3-1 score that held to the end of regulation. With only one day off to make the approximately three-hour flight from Southern Manitoba to Southeastern Nevada, Game 3 to snap the 1-1 tie is scheduled for 9 p.m. Eastern this Wednesday at T-Mobile Arena. Television viewers can catch the contest on CBC, NBCSN, SN and TVAS.